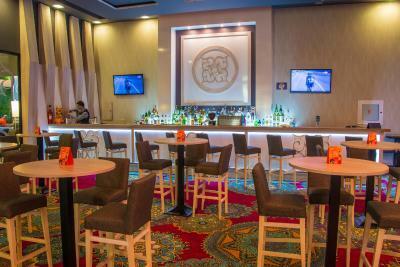 Lock in a great price for Platinum Hotel & Casino - rated 8.1 by recent guests. the buffet breakfast and dinner was very good.also the location on the beach was excellent as was the view from the balcony we had.the hotel also sent up to our room a surprise birthday cake and bottle of sparkling wine on her birthday which was lovely. הכל !! המיקום, היחס, השירות, האוכל, האווירה, הניקיון בחדרים ובמלון עצמו. זה מזכיר לי שהייתי בכריתה מאריס במלון כל מה שיש בו יש במלון אני מבסוט מצוות ואנשים נחמדים מאוד! אוכל מצויין.חדר אוכל ושרות מצויינים.הרבה יותר טוב מכל המלונות בבורגס.והתארחתי. במלונות .פרימיום.קובן.כריזנטממוגלובוס. 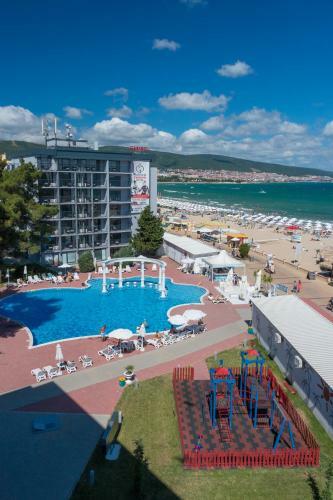 Platinum Hotel & Casino is a beach-front property in Sunny Beach, offering an outdoor pool with children's area, air-conditioned rooms with balcony and a casino on site. 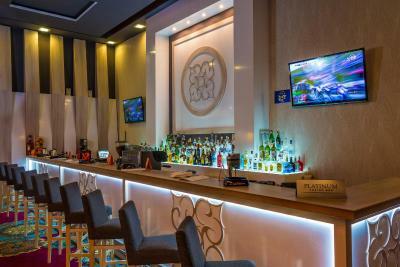 The rooms at Platinum Hotel are equipped with a flat-screen TV with cable channels, a telephone, a safety deposit box and a minibar. Most rooms have sea views. 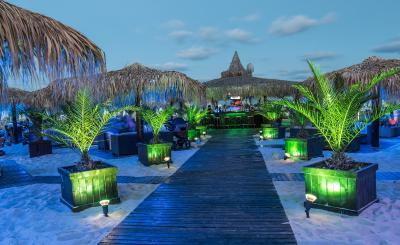 Guests find a restaurant, a bar and a beach bar at the hotel. A fitness centre, a beauty parlour and massages are available as well. The centre of Sunny Beach is 0.6 miles away and the Aqua Park is 350 yards away. 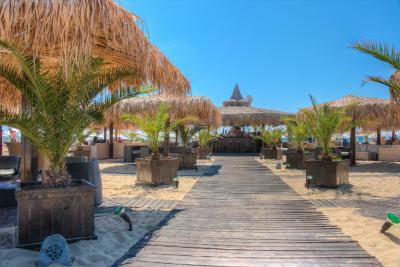 This is our guests' favourite part of Sunny Beach, according to independent reviews. 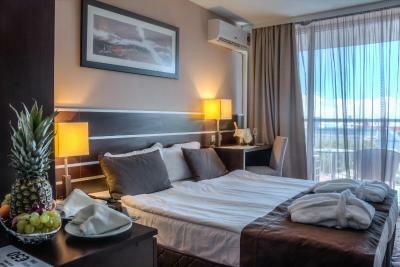 Platinum Hotel & Casino has been welcoming Booking.com guests since 5 Jul 2013. 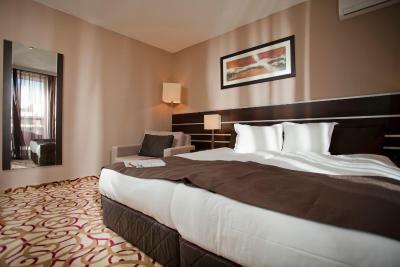 When would you like to stay at Platinum Hotel & Casino? 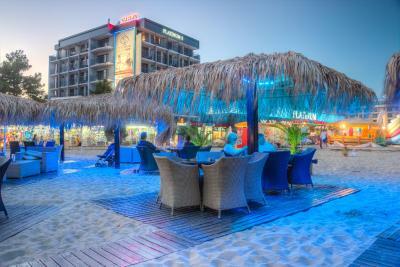 Renewed Platinum Hotel I and II are pair of twin boutique style hotels offers 96 rooms situated just meters from the golden sands of Sunny Beach. 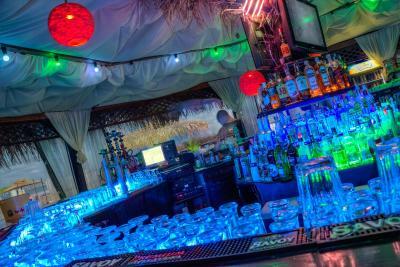 Each room of the hotels overlooks the beach and offers a comfortable atmosphere for relaxation between the hot experience in the complex. 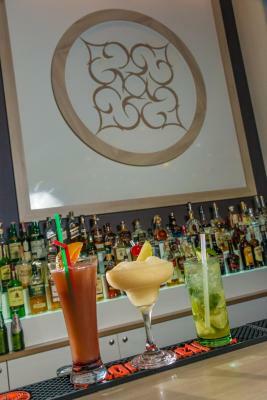 The restaurant will impress you with its unique mixture of traditional Israeli and Mediterranean cuisine, Arab cuisine and classic Bulgarian dishes! 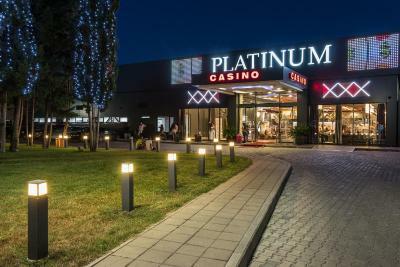 Platinum Casino offers the opportunity to play and enjoy the beautiful view of the Black Sea, because Platinum is the only casino located only a few meters away from the beach! With its 3000 square meters, it is the largest casino in Bulgaria. House rules Platinum Hotel & Casino takes special requests - add in the next step! Platinum Hotel &amp; Casino accepts these cards and reserves the right to temporarily hold an amount prior to arrival. Platinum Hotel & Casino accepts these cards and reserves the right to temporarily hold an amount prior to arrival.